Outlining is a great writers tool. It has never worked for me, however. In fact, outlining was counterproductive for me. 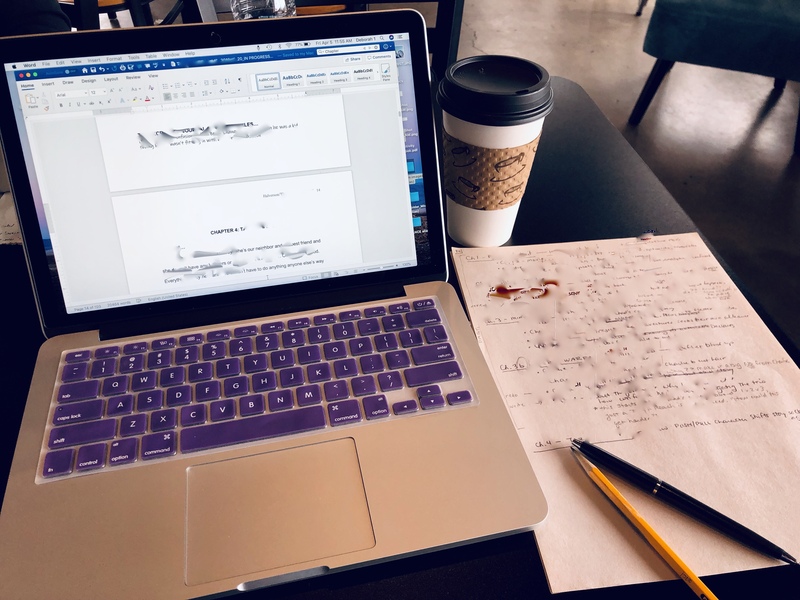 I’d outline my entire story… but then when that story insisted on changing as I wrote it, I’d fall into a frustrating cycle of re-outlining, writing, re-outlining, etc., making very little progress toward manuscript completion. I figured I was a panster, through and through. But today I tried outlining in a new way. I was struggling with the tricky task of revising a single narrator’s thread through a 3-narrator story. Watching my writing pal Barrie Summy sit across the table from me outlining her novel on a pad of paper, I came up with an idea. “Can I have a piece of paper, Barrie?” Riiip. She tore out a piece, handed it to me, and then I was off. My trick? I outlined only as far as the current chapter I was revising. And wow, did it work. I was able to lay this single narrator’s thread alongside the other narrators and spot the problems and ways to adjust everything. That’s the point of an outline, of course. But by only outlining up to the chapter I was working, I felt less boxed-in and more willing to go with needed changes as they revealed themselves. I wasn’t constantly aware that everything beyond what I could see on paper would upheave. So liberating! Today was a very good writing session.